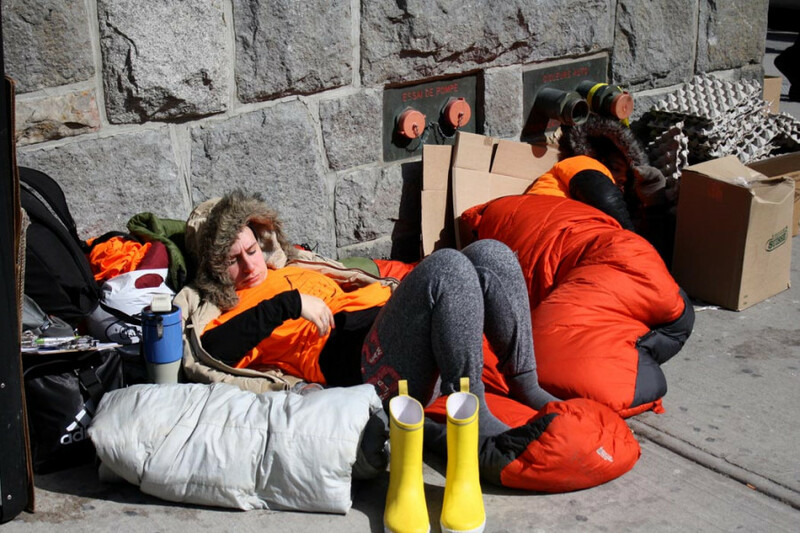 A growing concern in this country will have students living outdoors and sleeping on lawns and cold concrete on campuses across Canada this week to raise awareness for homelessness. The five-day event, from March 13 to 18, gives students a taste of life on the street. They are allowed a sleeping bag and a backpack for the entire five days, and must rely on donations of food to survive. Students are not permitted access to showers or facilities permitted to them by their student status. They are expected to attend all classes. Thomas Prince is returning this year as one of six organizers of the event. Prince’s biggest concern this year is the wet weather sweeping Montreal. He advises participants to pack as many dry clothes as they can, especially extra socks and long johns. All of the money raised by Five Days for the Homeless is donated to Dans La Rue, a community based organization that helps at-risk youth and youth on the streets to get back on their feet. “Some people are pushed into [homelessness] more than others, like in the case of children, some are leaving a broken home situation—they might be fleeing domestic abuse or an unstable or dangerous living situation,” Prince said. Sylvia Cornez spoke on behalf of Chez Doris, a women’s day shelter. “There’s certain programs that help them get their lives back together and those are the spaces that are needed, they are full, and because of the lack of apartments that are affordable, the women that are in these programs can’t find an apartment and it becomes a vicious circle. “You need to find solutions that are creative and you have to develop these solutions. There’s very little money for development for these solutions,” she continued. Extra beds are added to homeless shelters to accommodate people during the winter, but conditions are cramped and in the summer not everyone can get in. The city of Montreal proposed a resolution to combat homelessness in October. The resolution cites 11 acts, including more homes for the homeless, a 24-hour respite center and a new approach to intervention adapted for the city’s poverty-stricken Inuit community. 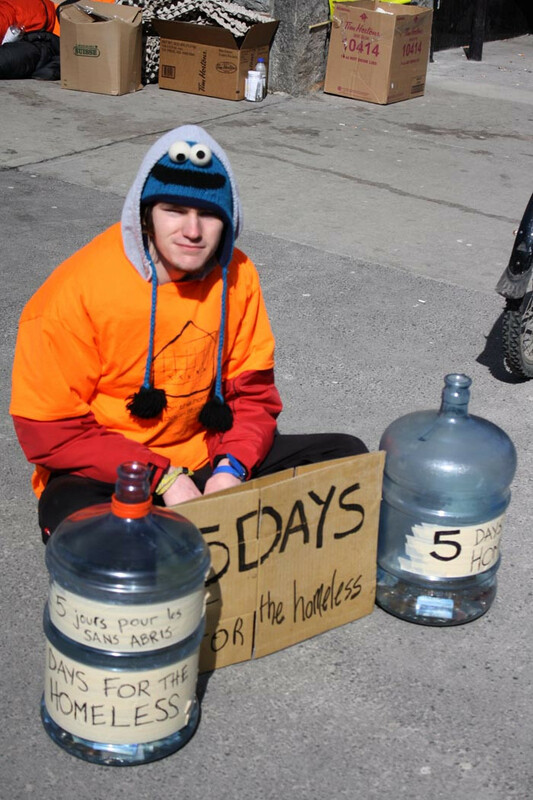 Five Days for the Homeless is an initiative started by Business students at the University of Alberta in 2005. This year 22 campuses across Canada will be participating to reach a shared goal of raising $200,000. The ultimate goal, according to their website, is to create a society where all homeless individuals are given access to opportunities for success. Concordia has raised more than a combined $100,000 in its four years of participation with Five Days for the Homeless. Expenses are covered by the Commerce & Administration Student Association and the John Molson School of Business.